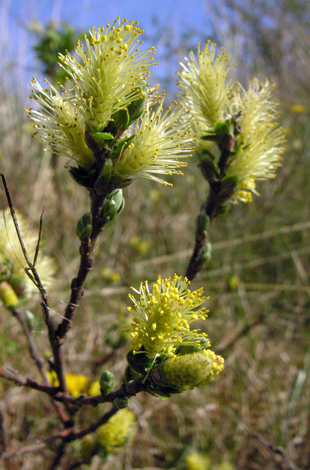 Salix repens var argentea is the variety (previously a subspecies) which typically grows in dune systems. In books it will often say that it grows in the dune slacks but both on the Sefton coast and particularly at Newborough it grows almost everywhere. 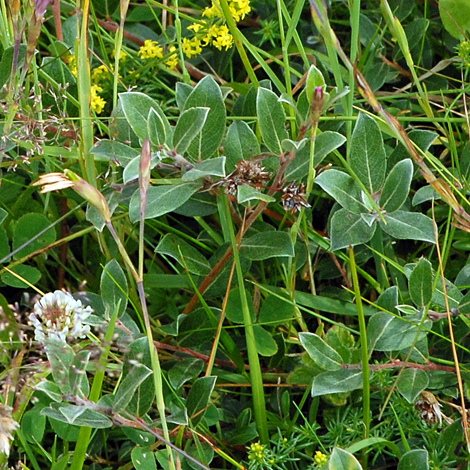 On top of the small dunes it forms hummocks of vegetation through which other plants such as the rare Epipactis dunensis (Dune Helleborine) grow. In the slacks it acts as a nursery for other plants and has provided a low growing bed of shelter for the expansion of Dianthus deltoides at Newborough. The leaves are grey green with a silvery sheen (argentea = silvery). Apart from central England Salix repens varieties are found all over the British Isles and Ireland and it is common in Scotland.